I really enjoy literary biographies, especially the works of Hermione Lee and Victoria Glendinning, so I turned the pages of Glendinning's Leonard Woolf: A Biography with special eagerness, as I thought he tended to be portrayed as an exploiter of his spouse, Virginia. Glendinning's work is a sad one, as she shows that Leonard believed (correctly, I think) that Virginia's genius was intrinsically tied to her mental instability, and one had to take one with the other. It was like playing with dynamite, as Leonard strove to cope with Virginia's breakdowns and create the most conducive environment for her writing. When Virginia did commit suicide in 1941, after Leonard had been in constant consultation with Virginia's doctor cousin, Octavia Wilberforce, as to the best way to treat Virginia's latest illness, Leonard blamed himself. He was a writer of no mean ability himself, frequently called on by the Fabians and others to comment on political matters, especially those involving Ceylon (now Sri Lanka), as Woolf had been a civil servant there for several years. The look at the workings of Hogarth Press is fascinating, especially learning that both Leonard and Virginia loved the physical process of making a book. Of course, the highly incestuous Bloomsbury group is covered. There are some other individuals mentioned where the reader wishes for some more detail; the brief coverage of American-born actress and suffrage figure Elizabeth Robins fails to mention her major suffrage novel The Convert (1907), which has been reprinted by Feminist Press. A startling aspect of the biography is the revelation about the number of Leonard's siblings who committed suicide, suggesting, I think, that he may have had prior experience in dealing with mental illness before he met Virginia. Most of all, the book demonstrates that the Woolf marriage was a true partnership in which each partner deeply appreciated the other's qualities. 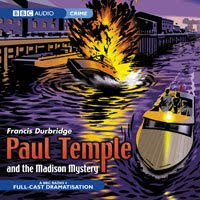 Christopher Fowler's latest forgotten author featured in The Independent is Francis Durbridge (1912–98), the creator of writer-sleuth Paul Temple (whose adventures are often aired on BBC Radio 7). He debuted in Send for Paul Temple (1938). Fowler dubs Durbridge "the English Cornell Woolrich." The Twilight Zone at 50. P. D. James, Reginald Hill. This week on BBC Radio 7: David Warner reads Henning Mankell's Faceless Killers; Cordelia Gray investigates in P. D. James's The Skull Beneath the Skin; and Andy Dalziel thinks a suicide was murder in Reginald Hill's Bones and Silence. Go here for the schedule or to listen. Just released this week is Baroness Shirley Williams's autobiography Climbing the Bookshelves. Some facets of Williams's crowded life: An evacuee from Britain to the United States during World War II (a relative of her mother's was Sir Geoffrey Shakespeare, chairman of the Children's Overseas Reception Board), Fulbright scholar at Columbia University, Member of Parliament, cofounder of the SDP, British secretary of state for education, Harvard professor, widow of presidential adviser Richard Neustadt. BBC's "Woman's Hour" interviews her here. I had the privilege of meeting her once, at a conference honoring her mother, Testament of Youth author Vera Brittain. Williams is named for Charlotte Bronte's "gallant cavalier." Jackie Robinson, the Kingsmen, Hunter S. Thompson. A moving letter from baseball great Jackie Robinson to President Eisenhower: "17 million Negroes cannot wait for the hearts of men to change." A letter illustrating why the FBI investigated the Kingsmen's "Louie Louie"
No gamble for Ian Fleming in Bloomsbury auction. Over on Abebooks' Reading Copy blog, a look at the bestseller list of 100 years ago, including works by L. Frank Baum, Jack London, John Masefield, Lucy Maud Montgomery, Baroness Emmuska Orczy, H. G. Wells, Beatrix Potter, Ernest Shackleton (later the leader of the Antarctic expedition known by its ship's name, Endurance), an ex-Boer War correspondent named Winston S. Churchill, and Mark Twain. Pre-National Book Festival: Walter Mosley. There's a couple of Library of Congress podcasts available of some of the authors attending the September 26th National Book Festival. Here's one from September 15th with Walter Mosley. Abraham Lincoln, morose mystery fan? In this podcast from WGBH, Douglas Wilson, codirector of the Lincoln Studies Center at Knox College, discusses what Abraham Lincoln read. Lincoln, an aspiring poet, was a fan of Edgar Allan Poe's poems because, in the words of one of Lincoln's friends, they are "gloomy." Wilson believes Lincoln admired Poe's detective stories because their solutions derive from the application of reason. About the image: Abraham Lincoln. Library of Congress, Prints and Photographs Division. Opening this week at the British Library is an exhibition on T. S. Eliot's work at British publisher Faber & Faber. The Guardian provides a peek at some of the featured photographs, including one with Eliot, W. H. Auden, Ted Hughes, Louis MacNeice, and Stephen Spender. The return of H. F. Heard's Mr. Mycroft. H. F. (aka Gerald) Heard: The Haycraft- Queen cornerstone work A Taste for Honey (1941; film The Deadly Bees, 1967) is being reissued this week, and the publisher plans to republish the other works in the Mr. Mycroft series (Reply Paid, 1942; The Notched Hairpin, 1949) with new forewords. As Jon L. Breen notes, A Taste for Honey is one of the earliest of the book-length Sherlock Holmes pastiches. Sad news, via Janet Rudolph's blog and The Rap Sheet, that Lyn Hamilton, author of mysteries featuring antiques dealer Lara McClintock, died on September 10th from cancer. I knew Lyn for several years, as she had once served as director of cultural programs in Ontario, which has responsibility for archaeological matters in the province, and I'd been manager of publications for the Society for American Archaeology. Thus we had a shared concern for the protection of cultural property and knew some of the same people in the archaeological community. Her novels not only entertained but also raised awareness of serious issues within archaeology such as looting. She had hoped to edit an archaeologically themed mystery anthology that could benefit cultural property sites—alas, not to be, because of her health. I'll miss her playful sense of humor and nurturing presence. H. R. F. Keating this week on BBC Radio 7. Airing this week on BBC Radio 7 is H. R. F. Keating's Inspector Ghote's First Case, in which Ghote deals with the impending birth of his first child and a sensitive case involving the mysterious death of an English memsahib. Is it suicide or murder? Go here for the schedule or to listen. My various posts about Edgar winner Helen Eustis (see here and here) have generated some inquiries, including contesting the report that she had passed away. I have heard now from Adam Genkaku Fisher, her son: Helen Eustis is still with us at age 91. About the image: Deck chair featuring the Penguin cover of Helen Eustis's The Horizontal Man, available from Art Meets Matter. Spy letters of the Revolutionary War. 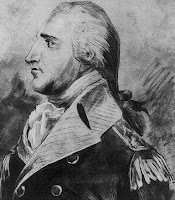 In this online exhibition from the Clements Library, University of Michigan, infamous individuals from the American Revolution are represented, such as Benedict Arnold and Major André, not to mention some lesser-known female agents, such as Ann Bates and "Miss Jenny." The Book Show: Scottish genre lit. The Australian Broadcasting Co.'s Book Show looks at contemporary Scottish literature, including the charge that genre fiction is taking over the Scottish literary scene. Boston remembers: The 1919 police strike. Tonight the Boston Public Library hosts a panel discussion on Boston's police strike that began on September 9, 1919; sparked looting and other extreme forms of unrest; and catapulted then-governor Calvin Coolidge onto the national political stage. The strike was recently featured in Dennis Lehane's The Given Day. Further details on the library event here. About the image: "Aid and Comfort," by the Chicago Tribune's John T. McCutcheon, 1919. Part of the discussion of the Google Book Settlement is its treatment of orphan works—those where the copyright holder or his/her kin cannot be located—which, by and large, has been cast as a heroic effort to return out-of-print books to the mainstream. I'm wondering how much diligence goes into tracking down rightsholders before a work is declared "orphaned" (I note the onus in the WSJ article on rightsholders to register works, rather than active searching for rightsholders). My skepticism is fueled by correspondence I receive as managing editor of Clues: A Journal of Detection. Because we publish on both classic and contemporary mystery authors—sometimes the journal is one of the few reliable sources on certain writers and we publish some unique pieces, such as one in the debut issue by John D. MacDonald—and because I have posted on this blog about neglected mysteries and authors, I receive inquiries about rightsholders. One example was in response to my post about The Horizontal Man's Helen Eustis; the individual was interested in turning Eustis's The Fool Killer into a graphic novel. Eustis's Contemporary Authors entry lists a son; a Google search revealed his full name; I found the blog for Eustis's son, Adam Genkaku Fisher, here. Total time I spent in obtaining this information? 5 minutes. In addition, reprint requests for Clues articles have come my way—initially directed to the wrong people. And these requests come from the supposed digital rights experts. So perhaps my skepticism about adequate research on rightsholders is justified as we grapple with members of a generation who believe if something isn't online, it doesn't exist and individuals who have a too-casual approach to copyright and are all too eager to profit from the hard work of authors without providing proper compensation. Also note: This interesting article from the Chronicle of Higher Education regarding errors in Google's book search function. 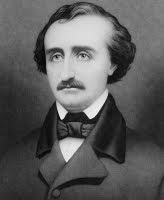 UT-Austin's Harry Ransom Center now has an online digital collection of material pertaining to Edgar Allan Poe, which includes books, images, manuscripts, newspaper clippings, and sheet music. Author-artist Syd Hoff, best known for Danny and the Dinosaur (1958), was born today in New York City in 1912. The industrious Hoff also contributed cartoons to the New Yorker; wrote radical works under the pseudonym A. Redfield; penned short stories such as "Goodbye Sweethearts" (1964) and "The Memory Game" (1974) for Mike Shayne Mystery Magazine; and illustrated other books, such as the children's mysteries The Rooftop Mystery (1968) and Don't Be My Valentine (1985) by Joan M. Lexau. He died in 2004. I like the fact that Chicago's Newberry Library, amid this year's hoopla over the 150th anniversary of Darwin's The Origin of the Species, has chosen to mount the small exhibition "1859: Much More than the Origin." It focuses on other important works published in 1859, such as George Eliot's Adam Bede, Charles Dickens's A Tale of Two Cities, and Alfred, Lord Tennyson's The Idylls of the King. And mystery fans will be glad to see that the library's online description of the exhibition notes that 1859 was the birth year of Sir Arthur Conan Doyle and the year of the first published installments of Wilkie Collins's The Woman in White. Hurry, though, to see the exhibition: it closes September 12th. About the image: Wilkie Collins, also working the same year as Darwin. Library of Congress, Prints and Photographs Division. BFI's Screenonline looks at nearly 75 years of British gangster films, including Brighton Rock (1947), The Lavender Hill Mob (1951), and Mona Lisa (1986). About the image: Richard Attenborough in Brighton Rock. As part of the University of Delaware's "Fifty Years of the University of Delaware Library Associates" exhibition, you can see this cover of Chester Himes's If He Hollers Let Him Go (1945). University of Delaware Library: Chester Himes.